Goodwin College’s degrees and certificates are designed to allow students to meet their goals at an accelerated pace, including the potential to earn a bachelor’s degree in as little as three years for full-time students. Goodwin offers three academic sessions each year for faster degree completion, and part-time and working students benefit from a full range of evening and weekend course offerings. Our nursing degrees will prepare you for a lifelong career. We are proud to offer a comprehensive nursing program that includes associate, bachelor's, and master's level degrees. Whether you are just entering the field of nursing or are looking to advance your career further, we have a program that meets your needs. Awesome things are made in Connecticut. From aircraft engines and submarines to buttons and baked goods, manufacturing in Connecticut is thriving and you can be a part of it! 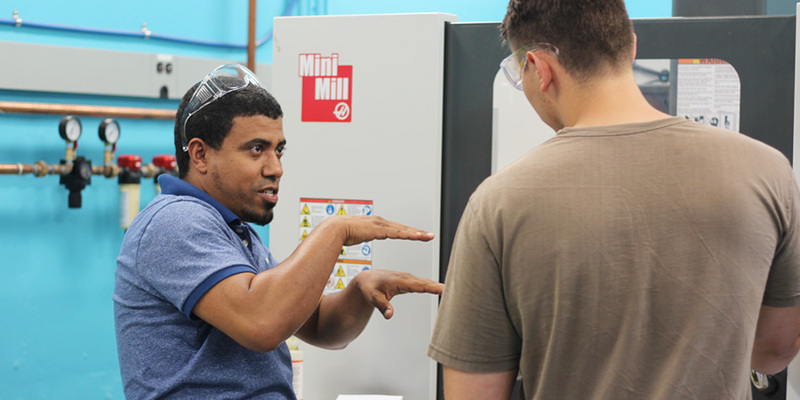 Goodwin College’s manufacturing training programs prepare you for an industry driven by technology, innovation, and creativity. 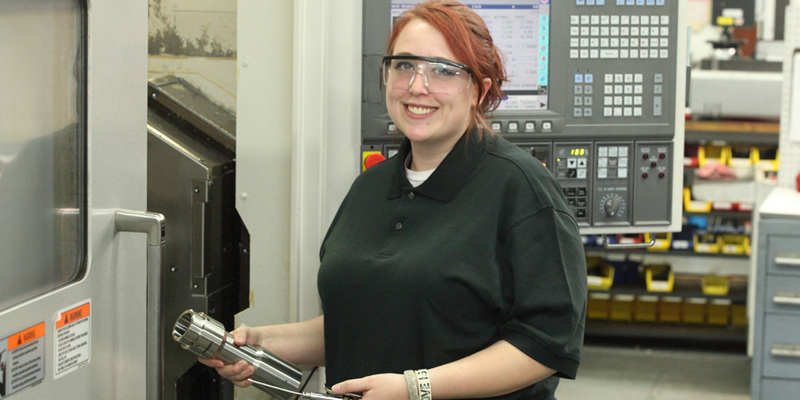 Our manufacturing training programs are designed for anyone just starting out or already working in the field. Stand out from the crowd in the competitive field of healthcare. 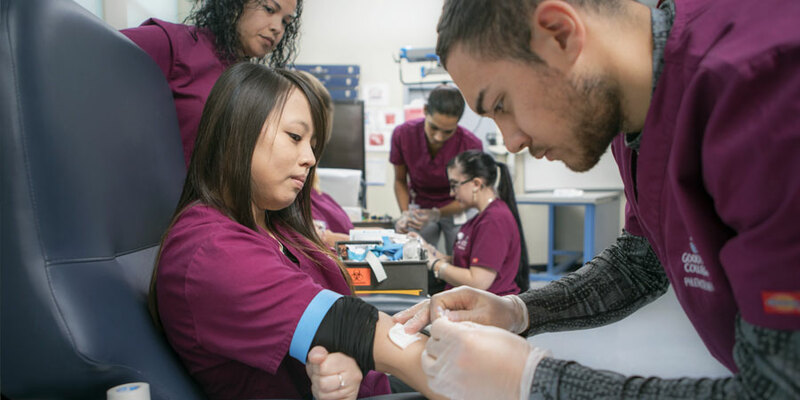 We've focused on a hands-on approach to education so that you enter the healthcare field with the skills and experience you’ll need to land your dream job. 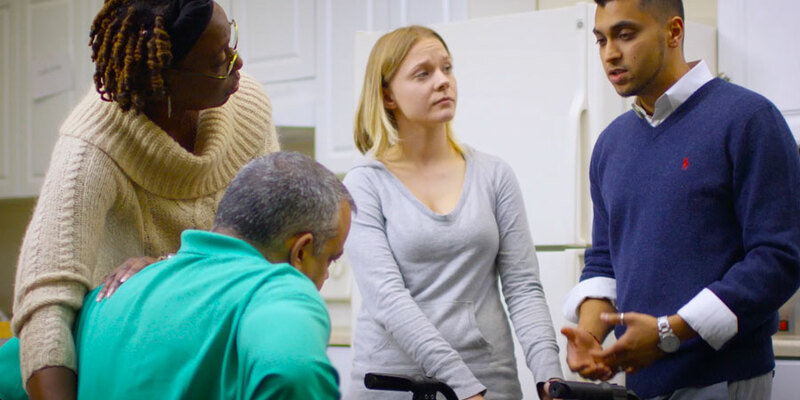 Clinical and internship opportunities are available throughout Connecticut, where you can put your skills to the test and network with experts in the field while you complete your program. Do better business with a degree or certificate from Goodwin College. We train professionals with the courage to succeed and the vision to make a difference. Our business and management programs are built upon the fundamentals of planning, leadership, and development — qualifications identified by employers seeking business professionals. You’ll learn how to manage people, access resources, and process information — universal skills that you can apply in any business setting. We teach students how to be successful in start-ups, small businesses, and nonprofits — the sources of nimble innovation in today’s world. Get maximum flexibility with a fully online program. We understand you have a busy life and need a school that works with your schedule and not against it. Here at Goodwin College, you won’t have to arrange your entire life while earning your degree. We offer several degree programs that can be completed fully online, so you can do your coursework where and whenever you want to! You’ll get the same quality education as you would on-campus, in the comfort of your own home. Finish what you started and complete your bachelor's degree. More than half of all Goodwin College students have transfered credits in from another college or university. Many of our programs are transfer-friendly, and we'll always work to maximize the credits you may bring with you, but we've designed these programs specifically for students looking to finish what they've started and complete a bachelor's degree. Learn more about transfering credits into Goodwin College on our Transfer Students page. 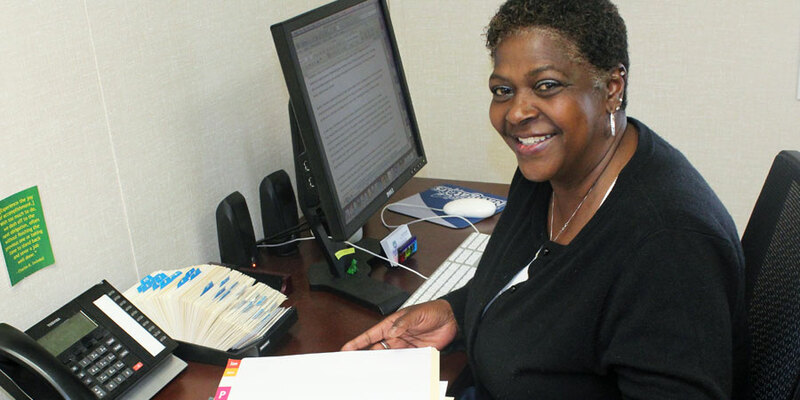 Flexible master's degrees designed for working adults. Life isn't limited to the classroom, so why should your education be? Our master's degrees are just as flexible as our undergraduate programs. At Goodwin, you will take classes when — and where — it's most convenient for you. Courses are available either online or in a hybrid format that combines the freedom of online learning with face-to-face interaction in a classroom setting. Your education at Goodwin won't take you away from what's important in your life and can take you where you want to be. Finish faster with accelerated classes. Thanks to our accelerated 7½-week classes, part-time students to take two classes a semester, while only working on one at a time, and full-time students can complete their coursework without juggling . Protect and serve with a safety and security degree. At Goodwin College, we will prepare you for a career that is both personally rewarding and of critical importance to the community. Join the prestigious ranks of law enforcement and public safety professionals and play a vital role in society. Make a positive impact with your degree. Parents, families, and communities need devoted, nurturing, and prepared professionals to provide education and support to individuals of all ages. At Goodwin College, you will gain invaluable real-world experience with opportunities for internships at child care facilities and human services organizations across the state. You’ve got career goals and we’re here to help you crush them. At Goodwin College, we’ll help you land that dream job you’ve always wanted, one that includes career satisfaction, job stability, and personal fulfillment. We’ve led thousands of graduates into careers they love, and our certificate programs can prepare you quickly for a great career. At Goodwin College, we’ll help you land that dream job you’ve always wanted, one that includes career satisfaction, job stability, and personal fulfillment. We’ve led thousands of graduates into careers they love, and our associate degree programs can prepare you for a great career. At Goodwin College, we’ll help you land that dream job you’ve always wanted, one that includes career satisfaction, job stability, and personal fulfillment. We’ve led thousands of graduates into careers they love, and our bachelor's degree programs will give you the solid academic foundation you need for success.